For the next few weeks I’m working my way through a massive bulk lot, filled with bulk LEGO and around 80 sets. I’m planning on building them all, giving them a quick review, and telling you all about the interesting parts I find. You can read Part 1 here, and Part 2 here. It’s finally done! All the sorting is complete, and it’s time to start building! 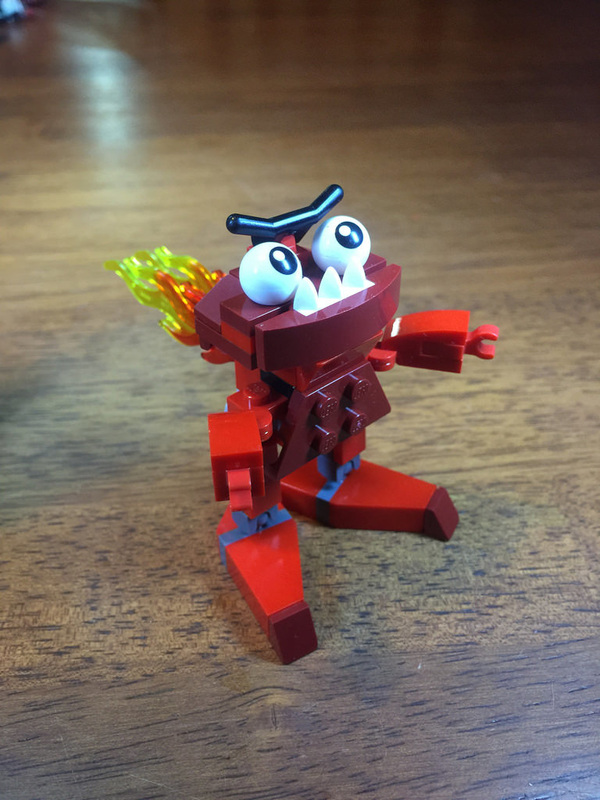 This week I built 41502: Zorch from the first series of Mixels. The other two from the Series 1 Infernites are on the way too. 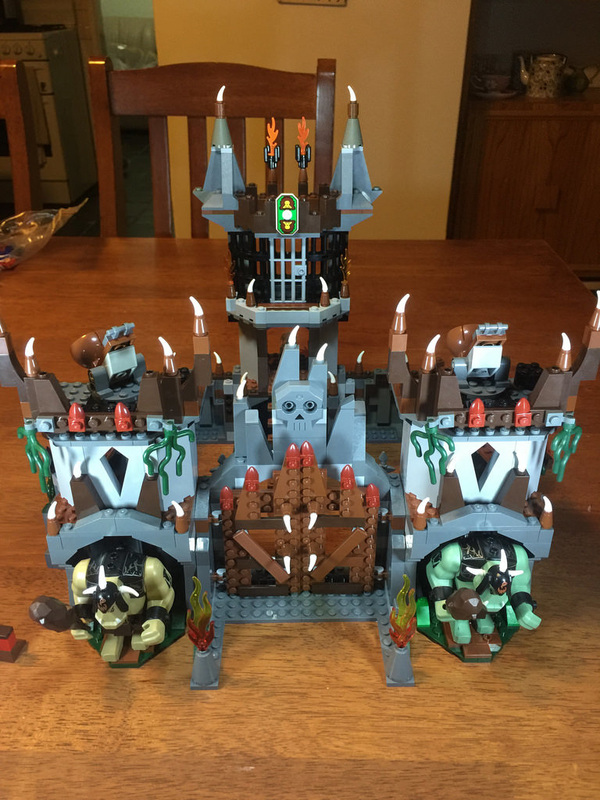 The other set was a bit of a bigger one with 7097: Trolls’ Mountain Fortress. There are a few parts that are missing or incorrect in this set, so if you see some glaring errors, I already have noted them down! I’m on the lookout for the missing elements. Let’s get stuck into the reviews. The parts in this set aren’t all that new, and are in a lot of other sets, but the flames on his back (possibly coming out his bum?) are a good addition. There’s not much movement in this little guy. His arms, legs and feet have ball joints, and that’s all. Very limited play with this set, but it’s better than nothing! It’s a pretty standard Mixel build – not quite one brick on top of another, but nothing too exciting. The head and torso are quite neat. Despite the simplicity of the build, I really like the look of Zorch! His face looks brilliant, with the grumpy eyes and protruding lower jaw, but the let down comes with the hands. I’ve never really liked the tiny hands option, and while it’s the design of the set, I’d rebuild him with some bigger hands. I like the way the fire comes out his backside too. A brilliant touch! The collectibility of this set is where it’s at, due to it being a Series 1 Mixel. You’ll look at paying around triple the price of the original RRP, with the sets being available at around AUD$15. This will of course push up the price per element to around 30c, but it is most likely worth it due to being a Series 1. If you’re wanting to collect all the Mixels, Series 1 will probably be the hardest to find, seeing as it’s the oldest. Value for money will be reduced because of this, but the collectibility value will most likely override that, especially if you get the rest of the S1 Infernites. A basic set, but if you’re a fan of the Mixels range, you’ll want add this one to your collection. If you’re a bit ambivalent about the Mixels, then there are plenty of other sets to spend your hard earned cash on! 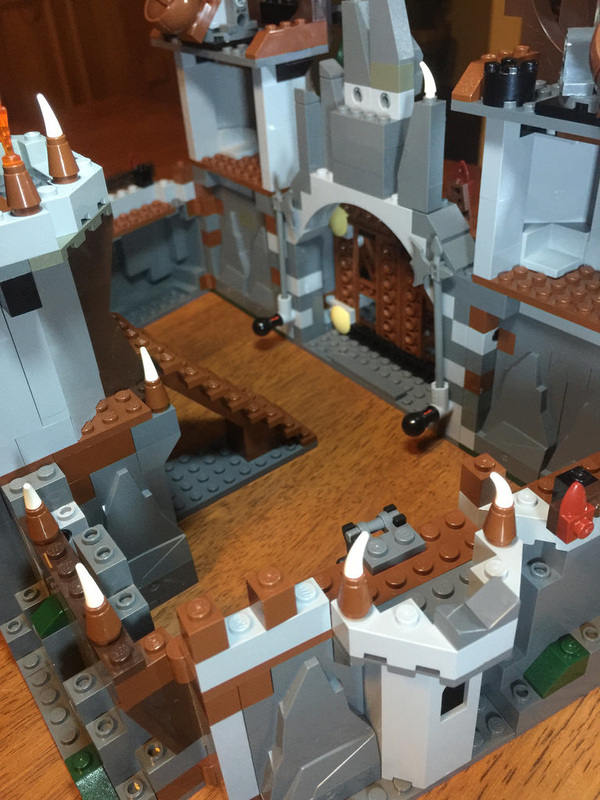 There are lots of sloped bricks in this set, as well as white horns and lots of greys and browns. There is plenty to get excited about with this set, as many elements, including the bigfig trolls, as well as the minifigure ones are only available in this set. This set brought a lot of elements to the range, and also others that are still very hard to come by. This set is chock full of play! The whole set can be opened up, as it is joined by Technic pins in six places. The fortress can be completely rearranged. With plenty of minifigures, a nice jail at the top of the tower, and those big mean trolls at the front gate, there’s plenty of play here. Don’t even get me started on those catapults and the swinging axes behind the gate! The build is a little repetitive, as the sides are exactly the same, but when each section is clipped on, the scale of the build becomes apparent. This set is big! While there isn’t too much technique, the size makes up for it. This set looks plain cool. There are great colours, the big rock pieces blend nicely with the rest of the set, and the tower at the back looks very formidable. I honestly wouldn’t change all that much with it. Maybe some more ladders for the ramparts, but that’s about it. Because of the rarity of some of the elements, this set is quite collectible. The sets retail online nowadays for around AUD$190, with the originals being released at $150. The price isn’t that bad an increase, but there are plenty of sellers around that are asking for twice that amount, so be careful if you do see it. Value for money is still pretty good – yes, you are paying for a lot of large prefab rock elements, but the other elements you get in the mix make up for it. A great set, with lots of things going for it! If it’s a good price, grab it. That’s it for this week. I wonder what will come next week?